FK London, which is located in Barnes, is London’s premier CACI clinic and is the exclusive facial clinic of Frankie Kenny, one of London’s most sought-after beauty specialists and skincare experts. 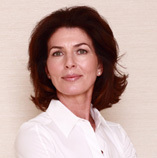 With more than 25 years’ experience in the industry as a beauty specialist and salon owner in central and west London, Frankie is renowned for her expertise in skin care and anti-ageing treatments and is the most experienced and sought after CACI practitioners in the country. FK London focuses exclusively on advanced facial treatments delivered using the latest non-surgical facial technology from CACI and facials using the HydroPeptide product range. CACI treatment systems are at the forefront of aesthetic treatment technology, with state of the art design and incorporating the latest advancements in electronics. Find out more about CACI here. Hydropeptide products use the power of peptides to deliver unparalleled anti-aging results. Find out more about HydroPeptide here. FK London treatments deliver anti-aging benefits and leave skin looking rejuvenated and glowing with youthful radiance. Treat yourself to the ultimate in skin care experiences, delivered by one of London’s top facial specialists in luxurious and calm surroundings. Treatments at FK London are all personally conducted by Frankie and can be tailored to meet the individual needs of each client.